An introduction to the study of animal behaviour; evolution and adaptive value of behaviour. The field of animal behaviour is vast and I will focus on the ecological and evolutionary aspects. The emphasis in this course will be on the ultimate causes and effects of animal behaviour (why these behaviours are adaptive), rather than the proximate mechanisms by which behaviours are elicited (neural or hormonal mechanisms and controls, for example). Please email me to set up an appointment at another time if you are not available to drop in during office hours. The exams will mostly concentrate on higher levels of interpretation of the lecture material, such as comparisons and contrasting, as well as interpretations, analysis and synthesis, rather than listings of terms or regurgitation of facts. Importantly, you will be expected to communicate your learning from this course in class and on the exams without needing to rely on examples. What that means is that you will be expected to be able to describe or explain the fundamental ecological and evolutionary principles behind how and why animals behave the way the do, when they do. For more information on this process of teaching and learning Animal Behaviour through exemplification, please have a look at our recent manuscript published on a study of this approach. Please see the Undergraduate Guide to Success for more information on what to expect in order to perform optimally on one of my exams. Note policy for missed midterms: If you miss a midterm due to a medical emergency (only with valid medical certificate), there will be no make-up test. Instead there will be questions from that midterm’s material incorporated into your final exam so that all students in the class will be tested on all the course material equally. Also note that late penalties apply to missed deadline at 10% per school day deducted from the evaluation in question. Alcock, J. 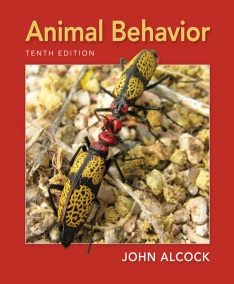 Animal Behavior, 10th edition. Sinauer Press. This text is available at the University Bookstore and Agora (both new and used copies are available) and at many online bookstores. Previous editions of this text can be used if you find a used copy but it will be your responsibility to verify how they differ and to have read all required segments. Likewise, there are many other good texts on Animal Behaviour that you are welcome to use but again, you must make sure that the required material is adequately covered. The order of the lectures will more or less follow that of the textbook*, and each topic will be discussed over approximately 1.5 – 2 classes. Students can get a head-start on their required readings, as the lectures will follow the order below. I have also posted Key Words of interest arising from the readings and the lectures. These are provided for you to allow you to familiarize yourself with the appropriate terminology of the field of Animal Behaviour and to provide you with a study guide for words that you should know how to define, explain and use in your lexicon while discussing these topics. These Key Words are the terms used when discussing the biology of Animal Behaviour so you will want to start using them, as they will be a necessary part of a complete exam answer, for example. You may also use the lists of Key Words as items from which you may build concept maps that tie the various notions in the field together. *As you will notice, Topics 2-5 have moved to the back of the newest edition of the textbook. These chapters deal with an introduction to the mechanistic underpinnings of the production and timing of behaviours. I will, however, cover these later textbook chapters during the first part of the course in order to present a foundation of the mechanistic (or proximate) causes of animal behaviour, in order to focus more intently on the functional (or ultimate) causes of behaviour. I have posted a .pdf file of each lecture’s notes in 2 formats (3 slides/page and 6 slides/page). You should download the file and print out a copy to bring to class or use them for note-taking on your personal computer. The goal of providing these notes is to allow students some relief from note-taking and permitting them to listen to and to better integrate the lecture material. The slides notes are NOT complete, however, and students will be required read the textbook and to attend lectures in order to fill in the missing information. Usually, the information contained on the slides relates to higher levels of organization in the learning process (context and interpretation), as opposed to simply learning lists, names and examples. In a group of 2 students, you will present an exemplification of the adaptive value for an animal behaviour of your choice. This final project will occur in two stages, the first being your choice of a topic supported by 2 research articles and the second being a submission of a 7-slide powerpoint presentation. Part 1: choice of topic (worth 10%) due on October 1st. In order to build a presentation on the adaptive value of an animal behaviour, you must find and present to me 2 research articles from the primary literature that study the fitness consequences of that behaviour in the same animal system, or a relevant ecological context to which your studies directly apply. Both articles must be from different researchers, i.e. cannot both be from the same professor’s lab for example. You must accompany your articles with a brief (single paragraph) description of how you will exemplify the adaptive value of the behaviour in the studies during your final presentation at the end of the course. If your choice of articles or the types of studies within do not meet the requirements the grading will reflect it, however, you may resubmit new articles on your original choice of animal behaviour within 3 school days for a complete remarking. You will create and submit a 7-slide powerpoint presentation on your chosen animal behaviour. Within these 7 slides a coherent and clear storyline must be able to be understood from the slides alone (no written notes and you will not be presenting). 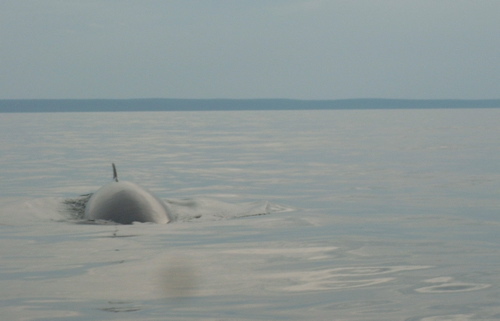 You will need to briefly identify the ecological context in which the behaviour occurs, the research questions and/or hypotheses, the studies performed and their relevant results, as well as concluding remarks on the relevance of those findings to the field of Animal Behaviour. Your mark will be partly based on the communication style and coherence (5% for aesthetic design, layout, narrative etc.) and partly on the scientific content (10% explanation of the context, research presented, interpretation of results etc.). My favourite class thus far! I really enjoyed your teaching once again and will be taking more of your classes. The whole course was interesting. Animal Behaviour taught/showed me to be able to apply concepts rather than have an assortment of random facts memorized. Easily one of the best courses I’ve ever taken! I really enjoyed this course and your style of teaching. I also thought that the emphasis on being able to communicate rather than memorization was important. While I still have to work on that, I have learned a great deal from this course both about the material and on being a student in biology in general. I really enjoyed this class, it’s taught me so much about behaviour and I feel as though the information that I’ve acquired in this course is very applicable and crucial to know. This was probably one of my favourite subjects at university. Amazing course, so interesting and really well delivered. Thanks! Great course, one of my favourites. You’re a great teacher who teaches the concepts well. Also you are passionate and energetic which make learning more enjoyable. Dr. Brown you have taught me a lot and this was by far my favourite class I’ve taken in university. I like that it isn’t about memorizing material and spitting it back verbatim. But it’s rather about understanding and explaining why behaviours are the way they are. My favourite thing about learning Animal Behaviour is being able to apply the themes we have learned to things that we can observe on a regular basis. It is always fun conversation starter, and is really applicable to my other courses as well. I enjoy your lecture style. The website is well organized and easy to navigate, thanks! DGDs are very helpful and interesting. Thank you for putting a sample midterm. I have been waiting since first year to take a course like this. The material is something that I am very interested in on top of that. I was happy to know you would be teaching it because I very much enjoyed your teaching style in Pesticides and the Environment last year. The textbook is excellent and I love that the lectures follow the order. I felt the exam (midterm, since final has yet to be written) was very fair and closely followed what was taught in class. I also love the DGD sessions! David Attenborough documentaries are my absolute favorite ( <3 Planet Earth and Life series!). You took the place of my previous favourite prof, the main reason? Your as organized, as intelligent, and as stimulating but you don’t have any arrogance. I actually love the course! It’s one of my favourites out of all the courses I’ve taken. This course is great! I find that the way Dr. Brown teaches is very captivating and the fact that he uses so many examples in class to describe the concept makes learning the material much easier. I am even more intrigued and interested in animal behaviour than I was before taking the class. Lectures were animated and the textbook was only needed for specific definitions because other explanations during class were well fleshed out. DGD was lovely due to the videos of Mr. Attenborough and really supplemented the plethora of exampls given in class. Sample midterms and sample finals were useful abd very representative of the content in both the midterm and final respectively. I love your teaching, just wished other profs would use it so I can get good at it. Deep thinking is a lot harder than regurgitating! I enjoyed the course. I was nervous, I felt it might be a course with a rather large course load and would be hard to keep up, but I really enjoyed the subject matter. No boring lectures like other biology could have. You taught the course in a way that helped us grasp the main theories and terms and also used great examples in your teaching. I really had fun learning about animal Behvaiour. Thanks! Cheers! I like the theories and analysis. It was fun to apply what we learned in the context of human behaviour and to find similarities and hidden reasons behind actions. The ability to apply cultural theory and other hypotheses outside the classroom as been my favourite outcome. Find the process of developing a theory fascinating. Interesting to see the explanations without knowing all the answers as theories are deduced. Applicability to humans is also interesting. the course is awesome (sad its over). Life is geeat (If I do well) and the unvierse is cool. Thank! Hope to take another of your courses. Such an interesting course! Concepts are easy to grasp. Usiing only pictures on the slides and you personally talking and explaining the concept or idea helps not forgetting them! Darwinian puzzles! Interesting and fun to study reason behind such odd behavious. Cute animals! My favourite thing about this class was your teaching and your dedication, you looked over all the midterms yourself to make sure they were marked well, not every professor would do that and I appreciate it. I look forward to having you for pesticides next semester. Thanks for everything that was taught to me in this course/. Thank you for a great semester! Nothing to complain about the course contents or the way it present. The course is an excelllent comparative biology on the origin of behaviour between species and human. I greatly enjoyed how the lecture material is conveyed. It is very clear concise and interesting. Good exmaples and videos. The interaction when questions were asked was very helpful. The DGDs were enjoyable but the first paper we read I didn’t find very clear or well written. Presentations were interesting and a good tool to learn how to analyze behaviour. Interesting subject. Videos are helpful to see aspects learnt in class in real life scenario. This is probably the most I’ve learnt in a BIO class in my time being here. I remember stuff from the first week and the content actually makes me excited to attend class. Personally, I loved the class, it was interesting, easy to follow and the examples made things very clear. Overall, loved the class, great prof, very enthusiastic. Prof was very outgoing, which allowed this course to be more interesting than dull. The course material was very interesting but at times can be a lot of information to take in. I liked the fact that a sample midterm was posted so that students could prepare ahead of time fo rthe questions which would be asked. Going over the midterm answers in class with the professor’s expectation for the answer and then having a student who received full marks read theirs was very helpful. The DGDs were great for discussing topics and seeing the behaviours in video format instead of just words and pictures. Course material is very interesting. Professor teaches at a very good pace. Material is straight out of textbook which is good. I like how only figures are in the notes, it forces you to write. This class is very interesting, the explanations are clear and the rhythm is at a good speed. I feel that the midterm was fair and that the DGDs are useful as well as interesting. The course is very interesting. It’s a lot of fun too. The DGDs are very helpful. The movies are great examples that illustrate the notions seen in class. The articles we read are also very useful, the fact that we interpret them together has helped a lot. Surprisingly, there are very few other classes in the Faculty of Science that teach students how to properly interpret an article. Keep it up! The course material is very interesting, the professor is very entertaining and presents the material in a very fun and informative manner. I really enjoyed the class overall. No complaints, thank you for an amazing class. Dr. Brown is an extremely effective professor who really tries to stimulate us and cement important concepts. It say a lot about him that we not only had the opportunity to have a guest lecturer from UofT but that he gave his TAs the opportunity to give us a lecture and hone their skills. The exam seemed a bit long so I personally rushed my final answers, but that might just be my own thing. I am very impressed. I wish his honour’s course was 9 credits instead of 3! I find the course very interesting. The subject matter is always conveyed very effectively and the use of other types of media helps with the learning. I really enjoy this class, the lectures and the textbook is great. I love everything about this class, the topics are interesting and your teaching makes it even more. I have nothing negative to say, you are the best teacher I have ever had. This is the 3rd class I have taken with you as a prof and each class I can see the improvement in the teaching and organization of the class. The DGDs are very interesting and useful. The subject matter of the course is interesting and is conveyed effectively. You managed to teach in such a way that is conducive to see methodology of testing, which is a rare thing in profs often, so that’s a plus. Also, clearly put a lot of energy into lectures and as you clearly like the material and it shows. Professor Brown is an excellent lecturer. Conveys material clearly. Class is extremely interesting. Midterm was well-written and closely reflected what was discussed in class. Textbook is a great choice, it follows almost exactly what we do in class. Love this class! Undergrad Guide to Success is really useful, I wish I had something like it in first year. Nothing could be improved, perfect as is! Very interesting course, professor is easy to listen to and communicates the subject and what he wants from students effectively. I liked how it was a smaller class. The professor was very enthusiastic about the teaching material which made it more interesting to learn. I think you are awesome. Really funny, very enthusiastic and you convey the subject matter effectively. I liked the subject material. The teaching was excellent, very coherent and explained thoroughly. I love the course and really like the DGDs. I find them helpful and fun. Love the teaching methods, very interesting to listen to. Interesting content/subject.